With a slim profile, the Jorge Pensi-designed Sona is perfect for an elegant conference room. 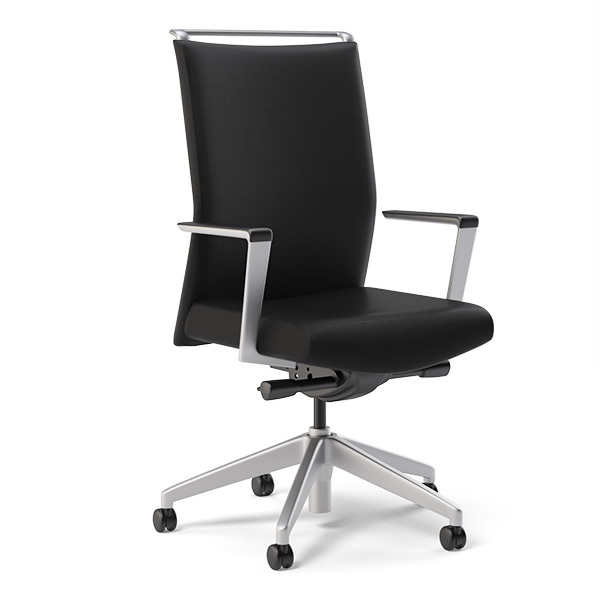 The height-adjustable back provides lumbar support while the upholstered or knit back offers unsurpassed comfort. Available with an option pull handle, thousands of textile options, and multiple frame and arm finishes.